The company has cemented its presence among the successful Manufacturers and Suppliers of Plastic Multi Purpose Boxes. 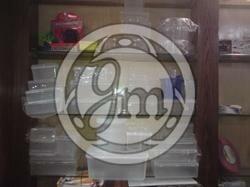 The Plastic Boxes we make available can be stored fir food items or other items. Compact and lightweight, we manufacture the boxes using the finest quality plastic material at our in-house manufacturing unit. Owing to our brilliant logistics network, we are capable of delivering bulk orders of the boxes within the promised timeframe.